The Aqueduct Inner Track meet is nearing its end, much to the delight of more than a few people. I guess it is a case of different strokes for different folks. The inner track meet has the distinction of being a long grinding meet for gamblers and horses alike; it is difficult to string across a sizeable winning streak during this time of year for many. Inherit The Gold exemplified himself with his consistent brilliance over course of the last four months with a solid four race winning streak that could very well parlay into an appearance in the million dollar Charles Town Classic. He could also stay local with an attempt at glory in the grade three Excelsior Stakes in April on the Aqueduct main track. His latest victory may have been his most impressive, he faced off against a tough rival in Yawanna Twist who was toting 118 pounds to Inherit The Gold’s top weight of 124 pounds. Yawanna Twist ran against the best of his generation last year, which was capped off with a gutsy fourth place finish in the Preakness versus the best of his generation Lookin at Lucky. Inherit The Gold has more than a few options after the conclusion of the inner track meet, which he excelled at this year and in the past. He is a proven two turn professional and Monmouth has many lucrative two turn races that are run during the course of their upcoming meet. He also has a win or two over the Belmont oval going the one turn route distances. The future is bright for this gelding after a prosperous winter in New York. Team Repole's meeting with the Mr. Softee people. Not pitcured, a man with an ice cream cone for a head. 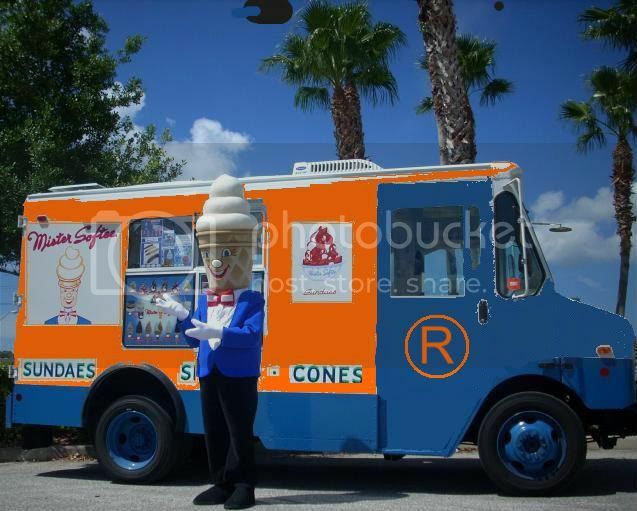 Here at Powercap, we pride ourselves on getting the inside scoop on these sorts of stories and we have an early draft design of the Uncle Mo Mr. Softee truck. 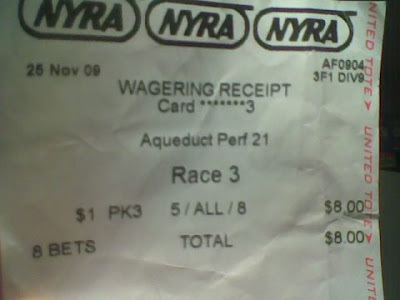 New York's first big day of the year had Todd Pletcher winning three out of the four stakes carded, basically picking up where he left off last year. Pletcher has taken up the throne that Lukas vacated in the late 90's. Got a stakes race? Pletcher has a horse for that race. Fancy Suits? Check. Well heeled clients with deep pockets? Check. Gray hair? Check. 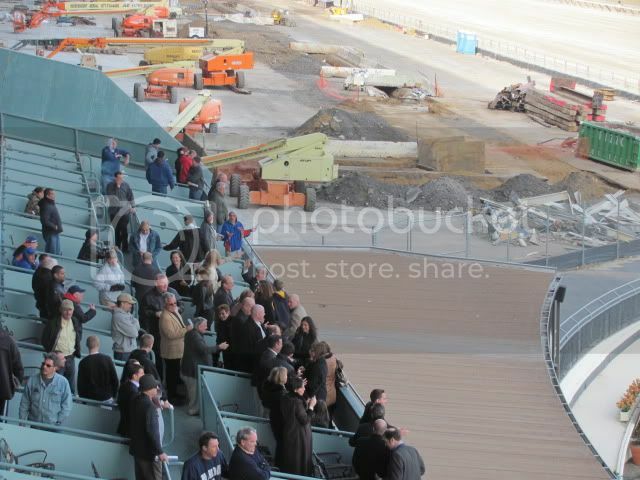 All Pletcher is missing is a pair of shades, he probably already has the Bentley. The winner faced Soldat in his previous start back in September, Sensational Slam looked no worse for the wear from that layoff. He sat off the pace and won with ease. The first half of the Repole Stable chalk double was captured by Calibrachoa, who could have been had for $40,000 back in November. He has now reeled off three straight stakes victories with the major sprint stakes races on the horizon. It will be interesting to see how this horse stands up to the class of the division from this point on. The public backed Stay Thirsty and they were not disappointed. This horse probably had a tougher comeback race than what Uncle Mo will encounter considering the circumstances. Stay Thirsty had not won past six furlongs and November layoff was what kept him from being a prohibitive favorite. Chances are the connections of the Gotham winner will ship this horse to Hawthorne or another track with a big purse and a thin field in order to pad the graded stakes earnings.